Is all food clean now? Did Jesus do away with the Law Matt 5:17? Romans 14 – Is it food laws, fasting or Sabbath? 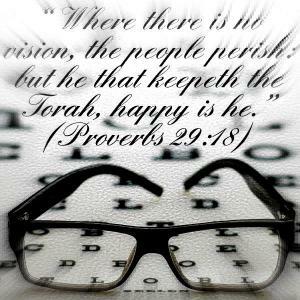 Is The Law of Moses Difficult? Consider . . . . . Does the new moon occur at the time of the conjunction or on the day of sighting? 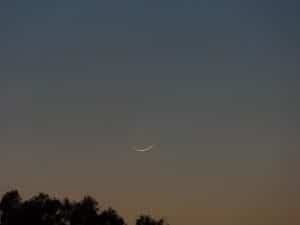 Biblicaly, the sighting of the new moon crescent heralds the start of a new month by showing its light. It is therefore the day of the sighting, with the following day at sunrise being the actual first day of the new month according to a creation sunrise to sunrise cycle. The “lights” are for signs. It is very important to heed the meaning of this word “Light.” The Scripture is accurate in every detail. It says “let THEM be for signs.” Again! THEM. “Them” refers to lights. It does not say moon or sun. It says lights. Now of course the moon is a light only when it is lighted and can bee seen. Dark moons or conjunctions are not signs and are not lights since nobody can see the moon when it is in conjunction. So a conjunction cannot give the sign (or signal) to start a month. One may calculate the conjunction, but it still would not be biblical to start the month with a conjunction. In all ancient historical accounts, the new month always begun according to the sighting of the first lighted crescent. This is true with Josephus, Philo, all Jewish sources, and all ancient cultures except Rome and Egypt. Egypt used the last light of the old moon, and Rome’s months had nothing to do with the moon’s cycles whatsoever. But in Assyria, Babylon, Persia, Greece, and other places where the Jews were compelled to follow the civil calendar, the new moon was always according to the crescent. The conjunction method is really a Rabbinic invention introduced after AD 359 which was well after the destruction of the Temple in AD 70. It is completely unknown in Israel and the ancient world before that time. The feast days are part of God’s Law. Yeshua said He did not come to abolish the Law or the Prophets (Matthew 5:17-20), and he reinforced this teaching by directing His followers to obey the instruction of the Pharisees (Matthew 23:1-3), and by telling them to teach everything He commanded to the nations (Matthew 28:18-20). All sabbath periods begin at sunset and finish at sunset.